Mom, the Intern: Fun in Treasure Valley, part II. Fun in Treasure Valley, part II. 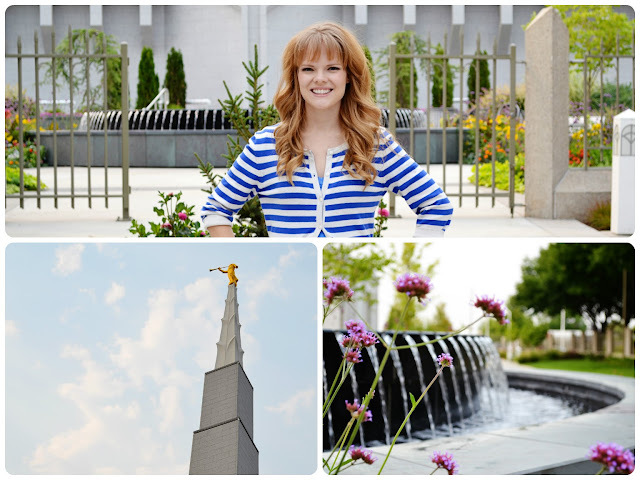 From 2002 to 2004, Dill served an LDS mission in Boise, Idaho. No, that's not a joke. And yes, a lot of people thought he was kidding when he told them he was going there. 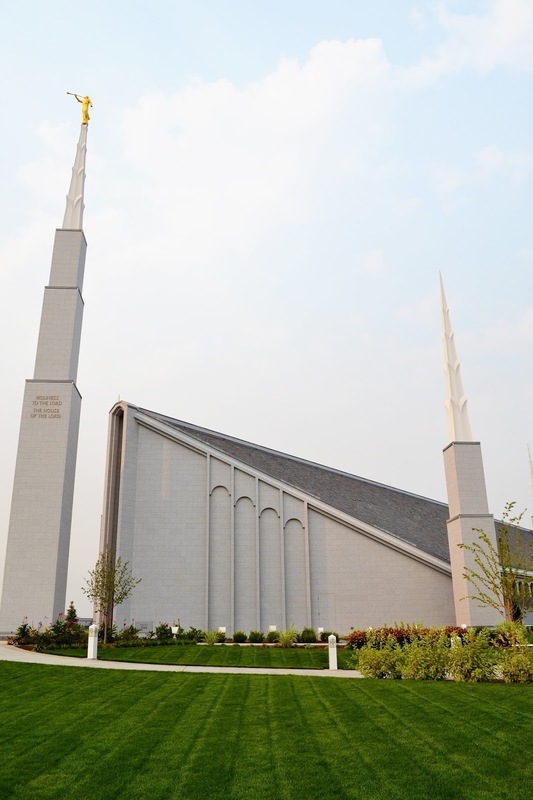 Anyway, the Boise mission was geographically huge at the time, but Dill actually spent 18 months of his two-year mission in Boise itself. Needless to say, I felt pretty badly that Dill couldn't come along with me on this trip (he hasn't been back since). So I made sure to tour his mission and take lots of pictures for him. Saturday was the day of Tyler and Victoria's wedding, but it wasn't until 7 o'clock that evening so we had plenty of time to cram in lots of activities in Boise. 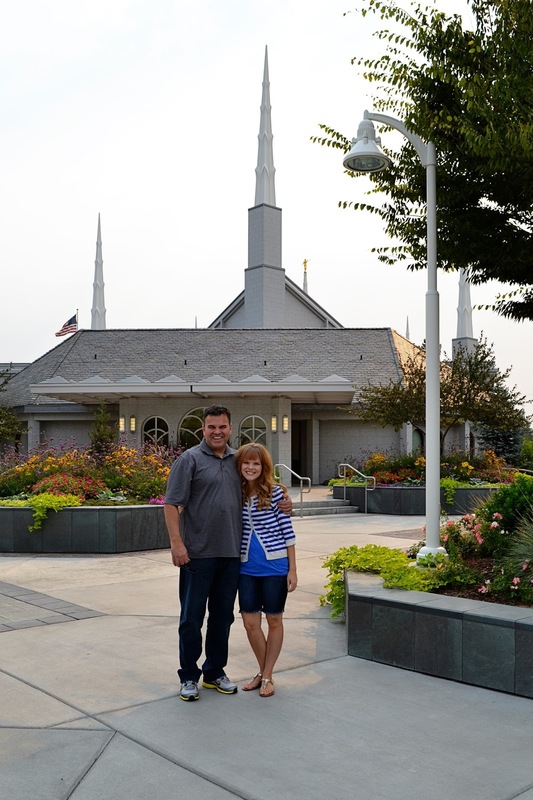 First, Brett, Teri, my dad and I went to see the Boise temple. It was recently completely remodeled, inside and out. They changed the stone on the outside to be a lighter color. I really like it now. Due to the fires in central Idaho, the sky was very hazy, but it diffused the light well and made for some beautiful pictures. We went around the side where I saw a brand new bride and groom getting their picture taken. They looked like babies to me. I guess this means I'm getting old? I don't look like a baby anymore. Right? The sun's orange glow cast a golden light on the roof. It was so warm and gorgeous. After we spent some QT at the temple, we headed over to the Boise River where we saw some Canadian geese (or is it Canada geese? I can never remember), bikers and a squirrel. Yes, A SINGLE SQUIRREL, which I realize is uncommon for Boise. And of course, the river. We did quite a bit of walking which felt good. Clockwise: Canada (eh?) 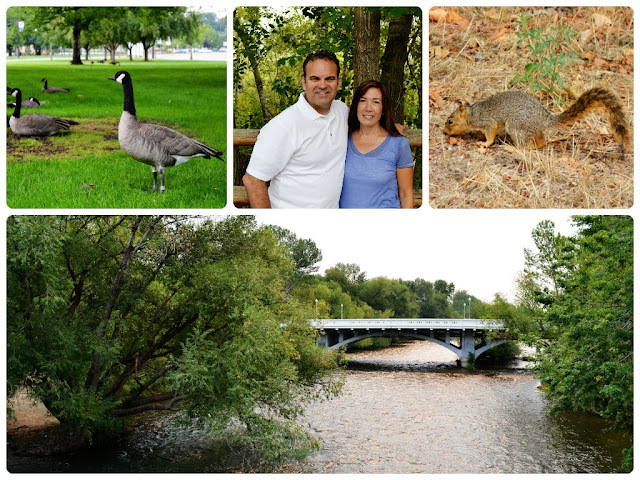 geese, Brett and Teri, squirrelly, Boise River. 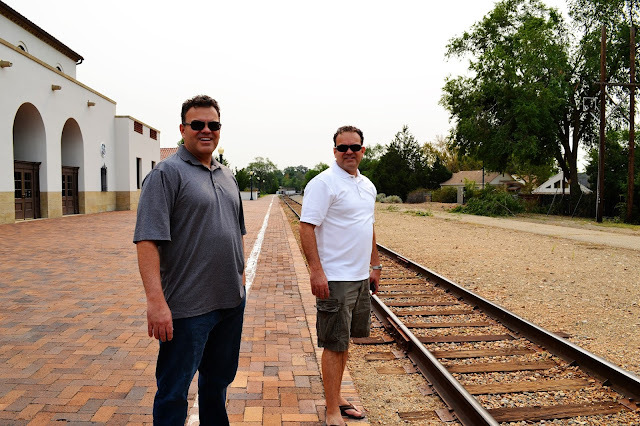 We also went to the train depot and met Big Mike, the train. He was big, just as his name suggests. Adjacent to the depot was a small botanical garden with a koi pond. Pretty. The twinners on the platform. Other activities of note: driving up Warm Springs Avenue to look at the cool Victorian homes, visiting the women's ward of the old (not currently in use!) state penitentiary (it gave me the chills ... creepy beyond belief), eating at The Flying Pie pizzeria with the whole family, holding a lab puppy in a parking lot and walking around Cabela's for about an hour. Good times. Next I'll tell you about Tyler's magical wedding and show you plenty of pictures which will make you go, "Awwww!" Thanks for taking the time to showcase your fun trip with your Dad! I'm so glad you both were able to visit Idaho. The next time you go, it will be with Dillon, though! Poor Dillon. Anyway, great pictures! It looks great. The photos are gorgeous! 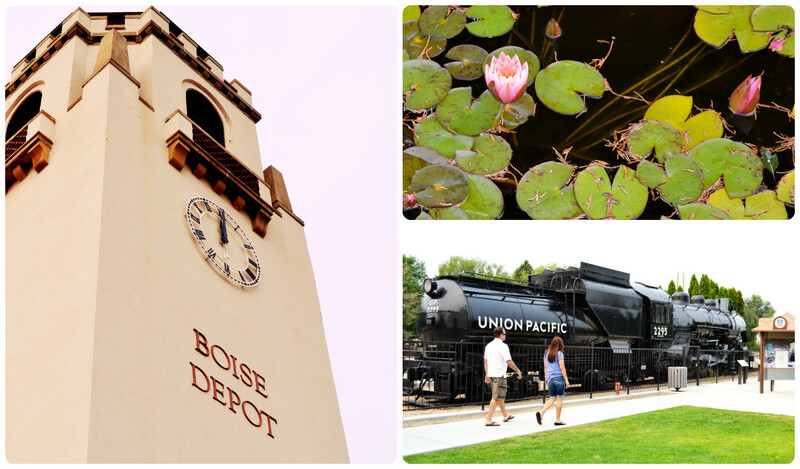 I grew up in Boise and absolutely love it! So much to do and it's beautiful! 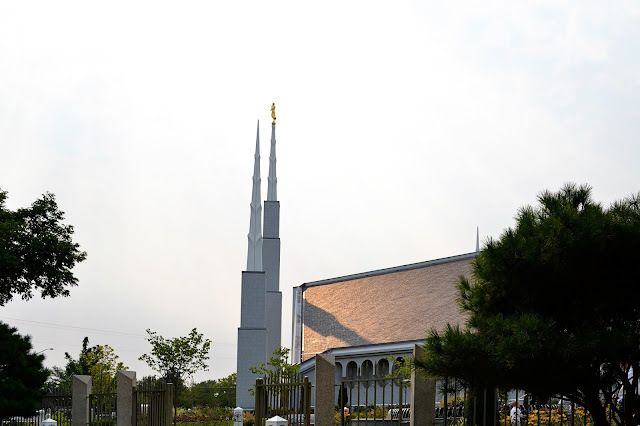 The pics of the temple are amazing and makes me miss visiting there!